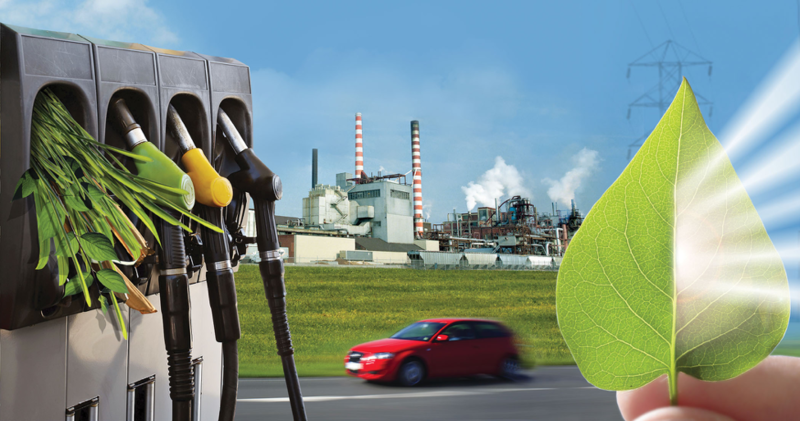 Today is the 5th annual National Bioenergy Day. You may ask yourself, what is bioenergy? We are so glad you asked. “Bioenergy” is use of any organic material, such as forest thinnings, residues, agricultural waste or urban wood waste, to generate heating, cooling and/or electricity. Bioenergy is responsible for sustaining tens of thousands of jobs, many of them in rural communities. To learn more about bioenergy basics, click here. To learn more about Bioenergy Day, click here. Bioenergy comes in many forms and here, at the Maryland Energy Administration (MEA), we are proud to help support the expansion of bioenergy locally. 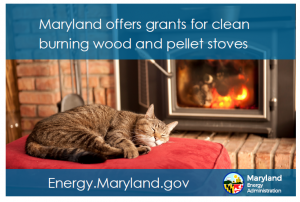 The State offers grants and incentives to help homeowners increase their home heating energy efficiency with the purchase of a clean burning wood stove. The bioenergy work closely together to keep American forests healthy and put organic byproducts like forest trimmings, industry byproducts and agricultural residuals to good use. Here at the MEA we have offered the Bioheat Tax Credit Program since 2008. Bioheat is a domestically produced, renewable fuel that can be manufactured from vegetable oils, animal fats, or recycled restaurant greases. Bioheat is safe and biodegradable, and its use significantly reduces greenhouse gas emissions and serious toxic air pollutants. This grant will retire at the end of 2017, so check it out before it is gone forever. One of our top bioenergy grants, that continues to be well received by the press and Maryland farmers alike, is our Animal Waste-to-Energy grant. This year, the MEA is pleased to offer $3.5 million dollars in funding for this program. This program has been featured most recently in Biomass magazine and applications are due February 28, 2018. The State’s Animal Waste-to-Energy program takes a circular approach to dealing with manure, and repurposing solid waste for energy. 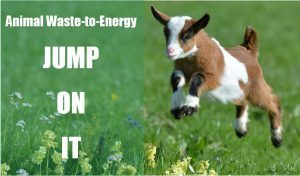 Projects funded by the State under this grant will generate energy from animal waste, and recycling animal solid waste. Animal waste creates a massive environmental issue for area water ways like the Chesapeake Bay and the State works with our local agriculture industry to mitigate nitrate pollution. To better understand how nitrate pollution impacts the Chesapeake Bay, here is information from the U.S. Environmental Protection Agency. 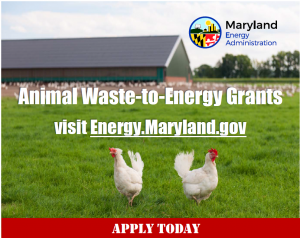 Support of bioenergy helps to fund projects like the poultry litter to energy project at the Murphy family farm in Dorchester County that was featured earlier this year on Maryland Public Television’s Maryland Farm and Harvest. 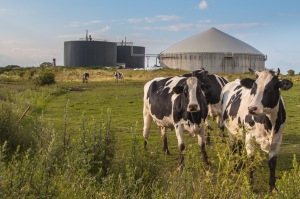 To better understand how manure is processed, here is some information on a methane digester. To learn more about our bioenergy and other grants, click here.